In New Jersey, Is It Possible To be Charged With Boating While Under The Influence? Can I Be Charged With Boating Under The Influence In New Jersey? Does New Jersey’s Boating Under The Influence (N.J.S.A. 12:7-46) Law Apply To Jet Skis? Is My Driver’s License In Jeopardy If I Was Charged With Boating Under The Influence (N.J.S.A. 12:7-46) In New Jersey? Yes, in the state of New Jersey, operating a vessel while under the influence of drugs or alcohol can be charged as Boating Under the Influence (N.J.S.A. 12:7-46), with significant ramifications for both your on-the-water activities and your driver’s license. The penalties for Boating Under the Influence are the same as for any other DUI/DWI in the state, so if convicted, you’ll face a mandatory driver’s license suspension, attend evaluation and classes at an Intoxicated Driver Resource Center, and pay fines and fees. The conviction will be listed on your driving abstract and will affect your insurance rates. Penalties for Refusal in a BUI are the same as for a DUI. The good news is that proving Boating Under the Influence is more difficult than proving a DUI, and the same factors that make a day on the water fun can help protect you when facing a BUI charge. An Experienced New Jersey BUI/DWI Attorney Can Help Your Case Considerably. Call attorney Matthew Reisig today at 732-625-9660 for a free consultation with an experienced Boating Under the Influence attorney. 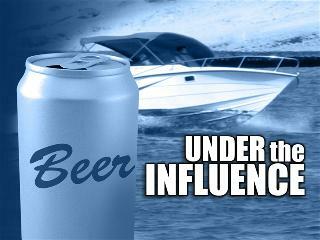 Next post: Is My Driver’s License In Jeopardy If I Was Charged With Boating Under The Influence (N.J.S.A. 12:7-46) In New Jersey? Previous post: Doesn’t New Jersey’s Implied Consent law violate the Fifth Amendment?